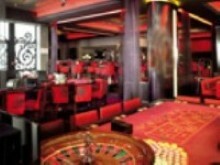 Casino Barriere Cassis offers English Roulette, French Roulette and Black Jack table games, 270 slot machines and live poker. Cash games are held every day at 4pm. Poker tournaments are held every first Sunday of each month at 4.30pm, weekly tournaments are held every Monday, Friday and Saturday. There are 2 bars and 2 restaurants in the casino. Admission is free, gaming currency is euro.